Today I’ll be leading a breakout at a conference for church ministry leaders from all over the world. You can learn more about it here! I LOVE connecting with the youth ministry tribe and always end up gaining just much as I give. Learning is best. And also TEAM FRIENDSHIP. 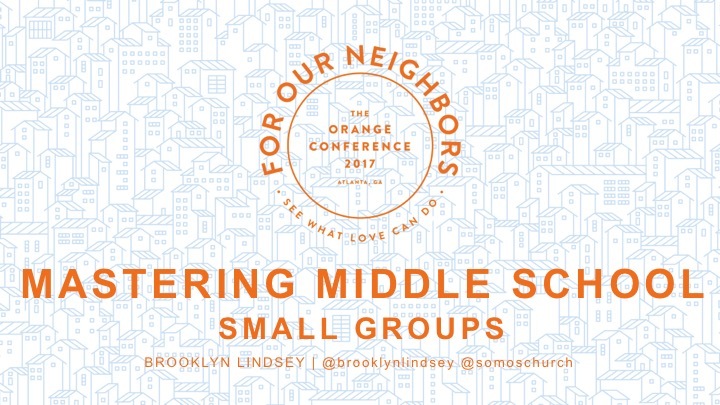 So, I can’t wait to chat today about Middle School Small groups, how to do them better, and also listen to everyone else’s good advice because our own church has a youth minsitry to build! YAAAAYYYYYY! Check out SOMOS church if you want! If you feel led by the Holy Spirit to donate to our youth ministry, we will receive that favor! (WUT? We planted a church?! We sure did!). Here’s a link to to my notes and slides!